At Daniel Sheehan PLLC, we are jacks of only one trade — civil litigation. We are best known for our legal malpractice work, but we have a proven track record of success in a wide variety of complex, high-stakes cases. Whether it is a business dispute, a fiduciary or fraud case, an attorney fee contract problem or other litigation matter, one thing is certain — if it is in a courtroom, you want us handling your case. 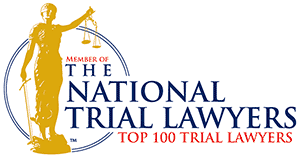 We focus exclusively on trial practice, protecting your rights and pursuing your best interests in the courtroom. We know what judges and juries like and what they don’t like, and we understand exactly how to build a strong case and argue it powerfully, all the way to verdict. Each and every case we handle is built using computer technology and consultation with experts, and our courtroom presentations are enhanced by the latest in audio and visual technology. All that adds up to our one constant goal: the absolute best, most persuasive presentation of your case. Contact our firm’s Dallas civil trial attorneys to discuss your legal malpractice inquiry, business litigation question or other concern.